* Compact and convenient shape. * Very helpful to deal with many different environment. 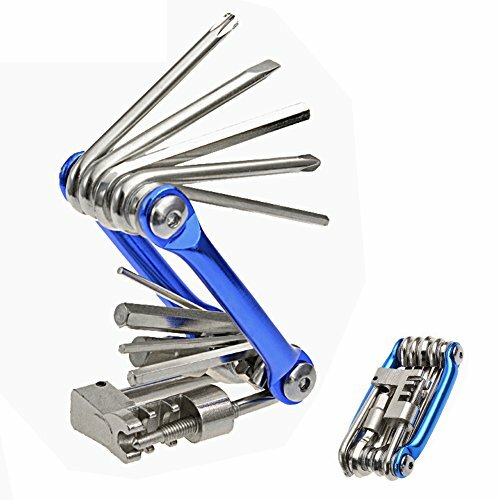 With 11 in 1 tool kit which can fix most of problem during riding, chain hook help to hold links when splitting and assembly. The tools can be filled in the seat pack and attached to saddle of bike for travel, and also can be used separately . It is easy to carry. Dimensions: Weight 0.185kg, Size: 8.5x 4.8x1 cm/3.3"x1.8"x0.39"
If you have any questions about this product by Hltd, contact us by completing and submitting the form below. If you are looking for a specif part number, please include it with your message.